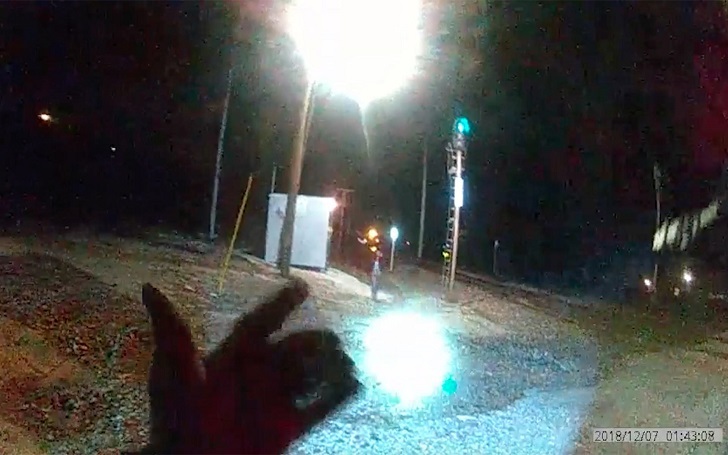 An Illinois police officer tackled a suicidal teenage girl and managed to stop her taking her own life just moments before she'd jump in front of an approaching train. Waukegan police released the video clip of the incident on Monday, December 10, which showed the moments leading up to the dramatic rescue. Here's the footage, check it out. As we can see in the video, no one appeared in the area while police officers were searching for a suicidal teen. But as soon as an officer approaches the train tracks, he sees a young girl coming out from behind the railroad mechanical shed. After the teenage girl disobeyed the officer's command to stop, he jumps into action and tackle the 17-year-old before she could jump in front of the train. In a statement, Chief Wayne Walles said, "I am extremely proud of these officers who, through their heroic actions, saved the life of a young woman." According to the officials, they received a call on Friday, December 7, at approx. 1:40 a.m. from a woman who said her sister was going to suicide, standing in front of an oncoming train. Dispatchers were able to find the location of the girl by "pinging" her cellphone. Wayne said, "I am just so proud of our dispatch who utilized their resources to locate the area where this young woman was and directed the responding officers to find her." The girl has reportedly been taken to the hospital for a psychiatric evaluation.